Apps that treat us like kids, behind FLOTUS’s speeches, and a disappearing blog. 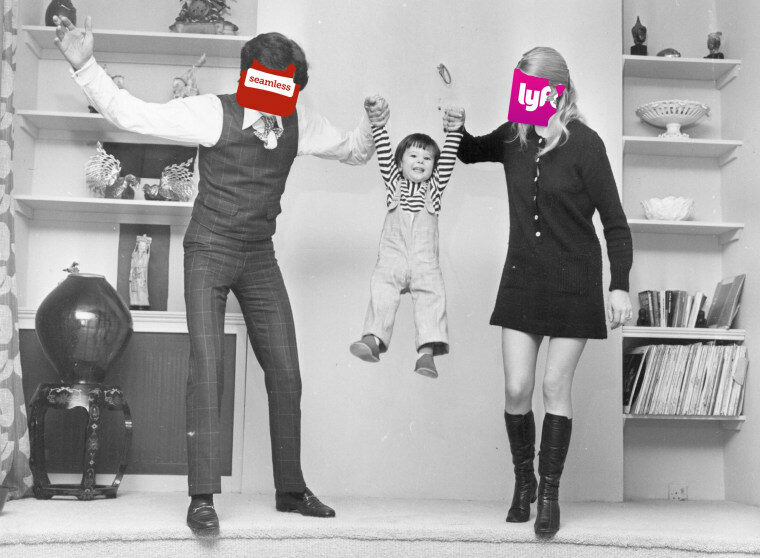 There's a cute little hamster when Yelp loads, Seamless talks down to us via subway ads and text notifications, Lyft's logo used to be a pink mustache, Venmo wants us to know which of our friends are hanging out without us... Why do our apps treat us like children? Do we like to be coddled? Jesse Baron's investigation of our relationship with service apps is witty and insightful. What's On Michelle Obama's Mind? FLOTUS provided us with one of the DNC's best speeches. Meet the woman who helps Michelle Obama put her exquisite thoughts into powerful words. A decade after Dave Chappelle's masterpiece of a show went off the air, eight artists and fans explain what made it so special and influential, and why it still matters today. "Men compose the immense majority of both women’s assailants and women’s official protectors," Smarsh writes. It's no coincidence recent mass shootings in the U.S. were committed by men with a history of domestic violence. Only one in ten police people are women (that means 88% of cops are men); domestic violence — 95% of which is committed by men on women — is a rampant problem for a reason. Through a harrowing story of a Wichita woman's experience with domestic violence and the system that failed her, Smarsh tells us exactly why this country is in need of female cops. Gucci Mane got out of prison and immediately recorded his new album Everybody Looking, which, with the help of Mike WiLL Made-It, only took six days. Here, we learn about the new, healthy, extremely toned Gucci — and how he's still the same Gucci that he's always been inside, only sober. The most popular publication making the rounds in Japan right now is an illustrated magazine about life in Los Angeles that was printed in 1976. UCLA during the Ford administration, a Kareem Abdul-Jabbar-led Lakers, and instructions on "How To Jog" are all included in the massive, 200-page time capsule. Artist and writer Dennis Cooper kept a blog with a beloved, cult following with a fascination with the human condition. One day this June, Cooper logged into his Google account and found his entire, 14-year old blog had been removed. The deletion had no explanation no matter how many support lines he called. Nothing but a claim that the blog had violated the Terms of Service agreement, but not how. The moral of this story: don't trust the Cloud.